L.L.Bean wants to thank the active, veteran, retired & reservist personnel of our brave US Armed Forces for their service to our country. We are proud to support them in leading a healthy active lifestyle and making the most of their time spent outdoors. Receive your promo code after verifying your eligibility below. Want to learn about exclusive sales, special offers and more? Sign up to receive L.L.Bean emails. 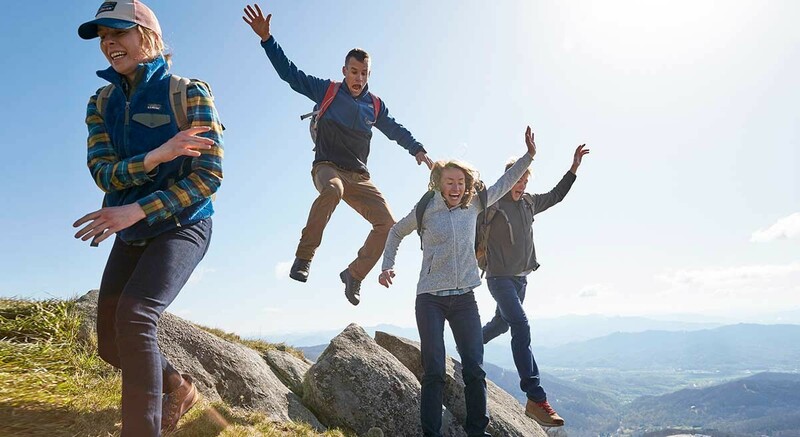 Save 10% on select merchandise purchased from L.L.Bean at llbean.com, by phone, or at retail stores; not valid at L.L.Bean Outlets or through our global.llbean.com and llbean.ca websites. Valid for one-time use only. Offer valid until Saturday, August 31, 2019, at 11:59 p.m. ET. To redeem offer, either enter your promo code during online checkout; provide the code to a phone representative; or present retail barcode to a store cashier. Offer excludes products from the following brands: Altai Hok, Big Agnes, BioLite, Blundstone, Bogs, Brooks, Cascade Designs, Chaco, Deuter, Eskimo, Fitbit, Garmin, Glerups, Goal Zero, Gransfors Bruks, Helinox, Hoka One One, HT Enterprises, Hydro Flask, ION, Jambu, JBL, Jiffy, Keen, Kork-Ease, LaCrosse, Leatherman, Ledlenser, Malone, Merrell, MSR, Muck, New Balance, Nikon, Oboz, Old Town, OluKai, Osprey, Rafters, Rio, Rockport, Sage, Salomon, SealLine, Shimano, STABILicers, Stack-On, Summit, Superfeet, Superga, Swarovski, Teva, Thermacell, Therm-a-Rest, Thos. Moser, Thule, Vasque, Werner, Wilderness Systems and Yeti. Excludes shipping charges; return labels; taxes; license/stamps; gift cards; repairs; duty; engraving; monogramming; alterations; gift boxes; firearms; Outdoor Discovery Programs private lessons, custom adventures, adventure trips and youth programs; select products at our retail stores; L.L.Bean for Business orders; the Red Sox 2018 World Series Tarp Tote; and the 2019 America the Beautiful – National Parks and Federal Recreational Lands Annual Pass. Not valid on previous purchases or with employee discounts. Cannot be combined with other percent-off or dollar-off discounts. All refunds will match the discounted amount on the purchase receipt. L.L.Bean reserves the right to deactivate promo code(s) in the event of fraud or technical issues and to limit quantities of individual items eligible for purchase with this discount.